Welcome to The Cotton Bride in LIC, NY. Your Bridal Happy place. Independent, Intelligent Bridal Designs in 100% Cotton, Linen & Silk. Most brides have no trouble finding their perfect dress in the many bridal shops around the city. But what if you are the type of bride that does not see herself in a standard, off-the-rack gown? Or what if you feel you have nothing in common with the excessively beaded gowns you see in bridal magazines? Or, more practically, you have difficulty finding dresses which fit your body shape or size? If you happen to fall into any one of the above categories, The Cotton Bride might just be the answer. 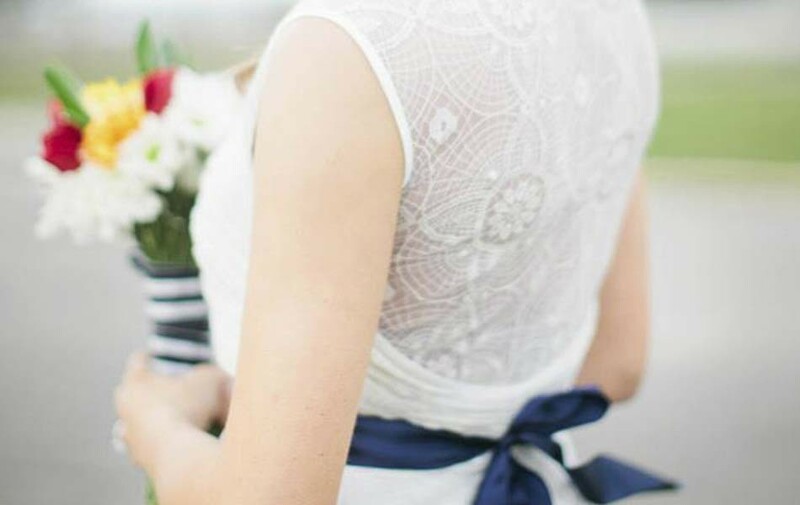 The Cotton Bride provides a highly personalized, boutique-style of service that is second to none. Located in Long Island City, all gowns at The Cotton Bride are designed on the premises and the process of selecting a bridal gown is a true collaboration between artisan and bride. Each dress is made with impeccable workmanship in cool, natural 100% cotton, linen and silk fabrics. Within The Cotton Bride’s brightly lit studio, attention to detail is everything. As you ascend the stairs to their second-floor showroom, there is an immediate and positive energy the moment you walk through the door where a splendid display of gorgeous, Instagram-worthy sample gowns await you in sizes ranging from 4 to 22. When you book an appointment here, expect to spend at least two hours at the studio. And, you will be the ONLY bride there. Unlike many other bridal salons, where they book multiple appointments at once, at The Cotton Bride, each bride receives undivided attention. The process begins with a conversation to develop an understanding of the kind of wedding you are envisioning, the venue, and, of course, what kind of dress you see yourself in. Once this is done, you get to try on sample after sample until you find the one you love. But what if you fall in love with different elements from more than one dress? For example, you love the neckline from one dress but the skirt from another? Or one pattern of lace over another? In that case, the Cotton Bride team will design a custom dress especially for you. The Cotton Bride philosophy is simple. Every woman is beautiful in her own unique way so she should have a wedding dress that not only matches but enhances, her personality and "look". The lead time between your initial appointment and that magical day when the dress is ready to wear can be anywhere from several months to a year. But, the uber-professionals Cotton Bride always tries to accommodate the schedule of every bride as many weddings are being planned in a matter of weeks and not months. At The Cotton Bride, they can, and do, work wonders. The experience you will have at The Cotton Bride is an entirely stress-free one where you won't feel rushed or pushed into purchasing anything. Instead, take your time to absorb, question and understand the many options available to you. Price points at The Cotton Bride start at about $1400 for their VCD collection and max out at around $3500 for their main Flagship custom collection. And, unlike most other bridal salons, fittings and/or alterations are always free on any dress from their Flagship collection. 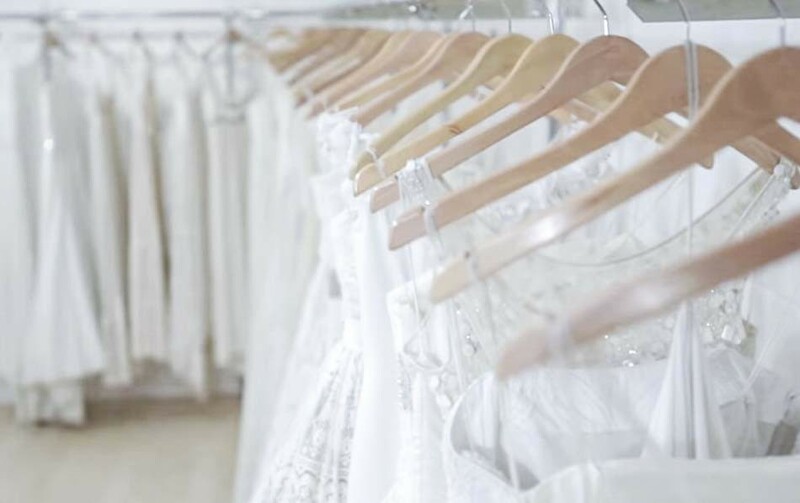 If you’re a non-traditional bride that appreciates chic, thoughtful design, highly refined workmanship, and a serene, private and stress-free showroom experience, visit The Cotton Bride. You will be glad you did. So, the moment that you've been waiting for has finally arrived. After a seemingly endless amount of time, the love of your life got down on one knee and asked you to marry him. The setting was perfection itself with candlelight casting a warm glow on a dinner that he made just for you. Between all of the hugs, kisses and happy tears, you couldn't wait to say yes! But, after the rush of emotion is over and you've managed to float back down to earth, feelings of anxiety and stress soon intrude on the scene. Your wedding day will be here before you know it. There is so much planning to do and, relatively speaking, so little time. Question after question rules the day. What kind of theme are you going to have for the wedding? Who will be invited? And who will be left off the guest list ? Where will the reception be held? What sort of budget is doable? When you walk down that aisle, all eyes are going to be on you. This is your moment, one that will live forever in hundreds of social media postings. So, it stands to reason that the most challenging and worrying question on your mind will be...." What style of dress will I wear on the big day ?" You want that very special wedding dress to be remembered for all the right reasons. But, style after style of bridal gowns dances before your eyes. You are not sure just what you want. Yet, uncertain as you may be as to the dresses' specific design and look; there are a few items on your list that are non-negotiable. The one thing that you DON'T want is a dress that in any way, shape or form even remotely resembles a garish "costume" from a Broadway musical. Something that looks natural but with an understated elegance, is more your style. Above all else, you want a dress that speaks to your heart. You would also like your wedding gown to be fairly light on the body and fit very comfortably. Especially if your wedding day is scheduled for the heat and humidity of Summer. Well, just take a deep breath or two, gently exhale and relax. If you know where to look for that all too elusive bridal dress, then there's no need to fret. Your destination of choice is a charming bridal studio where custom design meets convenience. Get ready to enjoy a totally unique and very personal shopping experience at The Cotton Bride. Founders Fikre and Chris provide a boutique-style of service that is second to none. Located in Long island City, The Cotton Bride is close to several subway stations and is only a short drive from the iconic 59th street Bridge and mid-town Manhattan. Whether you choose a gorgeous dress from the Cotton bride collection or have Fikre and Chris custom make the dress of your dreams; you will be more than pleased. All wedding dresses are made on the premises. Fikre and his team, which also includes Katherine, a super-talented seamstress, will involve you every step of the way. This is a true collaboration between artisan and bride. 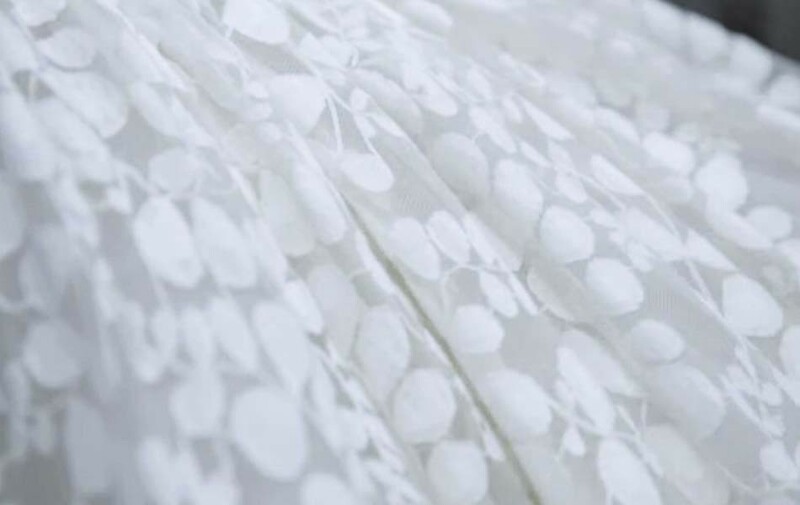 Each dress is made with tender loving care, using only rich, natural fabrics like 100% cotton, linen, and silk. Fikre is very careful where he sources his materials from so quality is always assured. 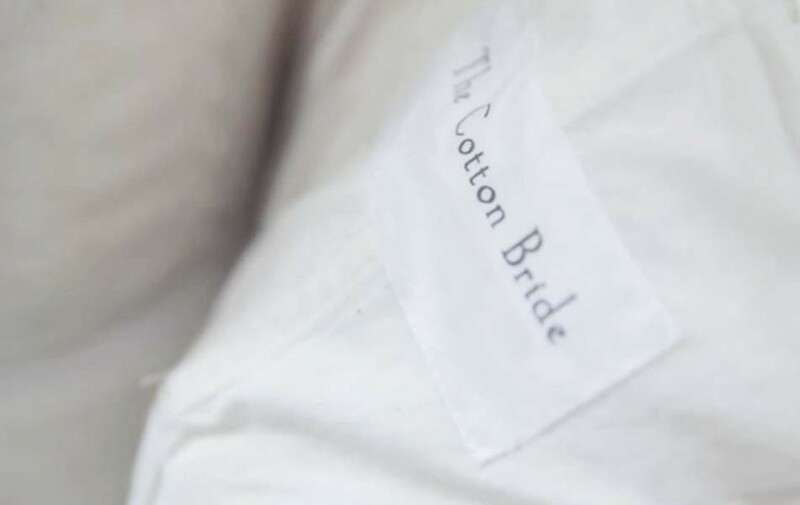 The Cotton Bride has several domestic and foreign purveyors for years, including a company in Great Britain . The wonderful aspect of wearing a dress that is made out of a natural fabric like cotton, silk or linen is the airiness, breathability, nd ease of movement that it affords you. You won't feel as though you're strapped into a skin-tight Victorian corset. Your wedding day will be filled with non-stop movement. You'll be rushing from the ceremony to the reception, greeting your guests, posing for photos and, of course, hitting the dance floor. You'll be lucky if you have the opportunity to sit down for more than a few minutes at a time. Within these quaint walls, attention to detail is everything. As you ascend the stairs to their second floor showroom and design studio, you'll feel the positive energy the moment that you walk through the door. The first thing that you'll see, after Fikre's smiling face and outstretched hand, are racks of gorgeous, Instagram-worthy dresses. When you book an appointment here, expect to spend at least two hours at the studio. And, you will be the ONLY bride there. Unlike many other bridal salons, where they book multiple appointments at once, at the Cotton Bride, you will receive the owner's undivided attention. As you settle down in a comfortable chair, Fikre will ask you a lot of questions. As the founder of the salon explains it; " Much as the bride wants to get to know us, we want to earn her trust, both on a personal and professional basis." Calm and easy-going, Fikre is a man who inspires confidence. As a bride, you know that you are in good hands. As the conversation continues, Fikre will ask you to try on several dresses ( at least! ), from the nearby racks. Meanwhile, Chris will be sketching away, busy designing your dress and occasionally chiming in with a comment or question. In order to bring your vision to life, it's extremely important for Fikre and Chris to understand your personal style and see just which dresses work best on your body type. The Cotton Bride philosophy is simple. Every woman is beautiful in her own unique way so she should have a wedding dress that not only matches, but enhances, her personality and "look". Above all, their gowns and dresses allow you to " be yourself" on your wedding day. Fikre and Chris are all about building long-term relationships with their brides. "It's not at all unusual for a bride to keep in touch with us, long after the wedding ." said Fikre. "In fact, I just had a lovely dinner with a young woman and her husband who were in the city visiting friends". "Well over a year ago, this very nice woman had booked an appointment for a fitting. We worked with her for a couple of months and formed a close bond. But, unfortunately, due to her job, she had to return home to Kansas City and she ended up getting married there. We kept in touch, though." The lead time between your initial appointment and that magical day when the dress is ready to wear, can be anywhere from several months to a year. But, these uber-professionals will always be happy to accommodate your schedule. Sometimes life happens and you need a dress to be made in a relatively short amount of time. At The Cotton Bride, they can and do work wonders. Should you find something from their collection that you fall in love with; Fikre and Chris will work with you regarding specific alterations. 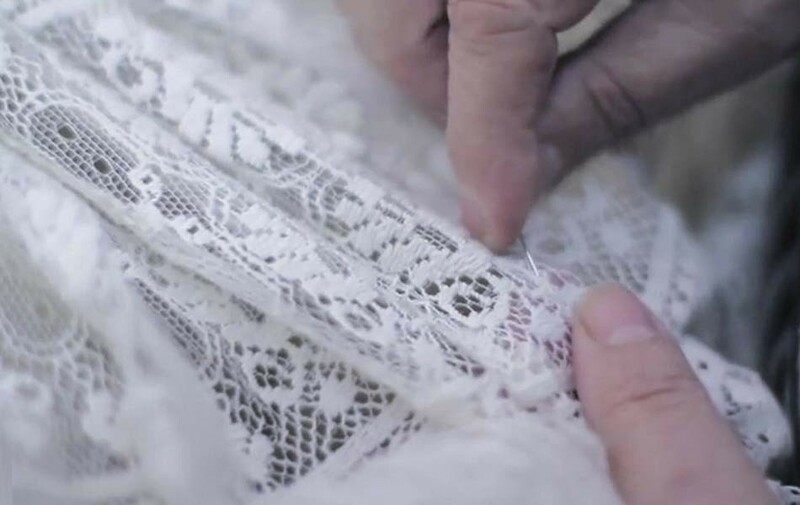 The detailing ( lace patterns and beading ) will make a dress from the Cotton Bride collection, uniquely yours. Fikre and his team can work with you on designing a veil, as well. Eloquent with a dry sense of humor, Fikre puts brides at ease. He sums up the studio's philosophy in a few succinct words. 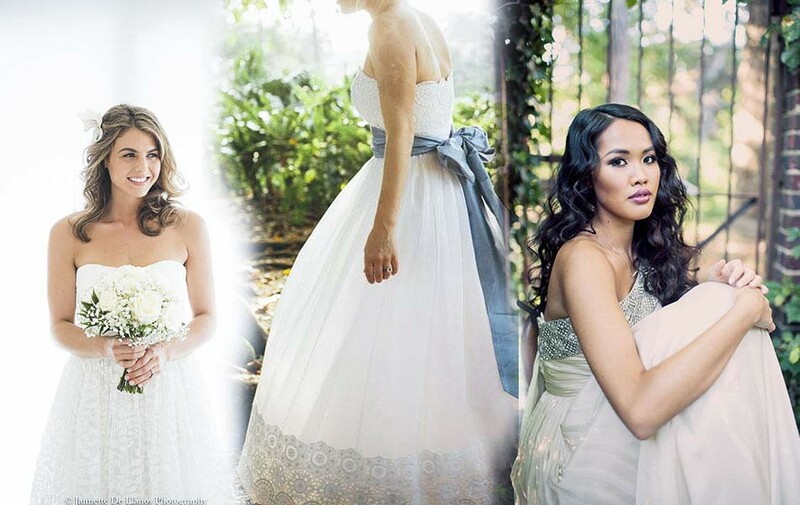 "At the Cotton Bride, we believe in grace, simplicity, comfort and beauty. We have a design aesthetic that is unique in the bridal industry. And, like the brides whom we dress, we do not follow trends." By making the showroom experience fun, Fikre hopes to take the stress out of deciding upon a wedding dress. "It's all about living in the moment and not feeling overwhelmed." explains Fikre with a twinkle in his eye. "I think that Chris and I have about as much fun at the appointment as the bride does. I will tell you one, thing; helping to make brides look their best never gets old for me." Fikre is not only a genial host, who truly enjoys his job, he is a keen observer of the human condition. Just by reading your body language, he can sense if a particular dress is not hitting your sweet spot. If the dress is not right for you, Chris and Fikre will tell you why . Then it's up to you to make a decision. Here, you won't feel rushed or pushed into purchasing a dress that you don't feel totally in love with. The price points at the Cotton bride, while not cheap, are extremely affordable. You will receive great value for the money that you spend. And, really, when all is said and done, you can't put a price on happiness. Your wedding dress is going to be perfection personified. Whether this is your first trip to the altar or your second go-around, it's still a special moment in your life. Make the most of it. 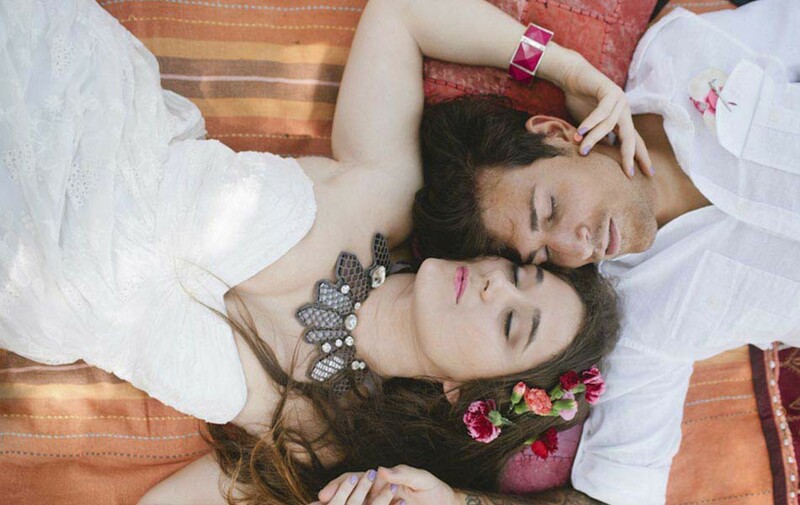 Planning a wedding can drive even the most level-headed bride a little crazy. Isn't it nice to have a calming, zen-like bridal oasis in which to get away from it all, if only for a few hours here and there ? More often than not, when a bride books time to try on dresses at a salon, she has to deal with the dissenting voices of family and friends. Everyone from mom to her best friend from high school has an opinion as to which dress works and which one doesn't. Fikre is used to dealing with these situations. As the voice of reason who just happens to have a keen professional eye for what looks best on each individual bride, Fikre has a knack for making ALL of his guests feel very comfortable. And making certain that the bride is not pressured in any way. If it's drama that you're looking for, then it is best to check out a bridal-themed reality show on TV. You won't find any of that nonsense at The Cotton Bride. When you visit the salon, for either a consultation or a fitting, make a day of it, should your schedule permit. The Astoria/Long Island City neighborhood is home to a diverse array of restaurants, along with trendy bars and cafes. Not to mention some great shopping along Steinway Street and Ditmars Blvd, as well. But, no matter how delicious your lunch turned out to be or how much you love those earrings that you picked up ; the highlight of your trip to Queens will undoubtedly be the time that you spent with Fikre and Chris. Be confident. Be cool. Be all that you can be, when you wear a natural fabric dress from The Cotton Bride.